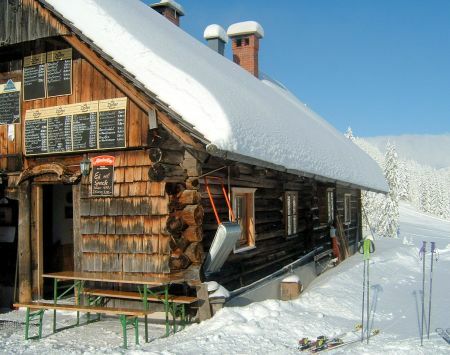 Property for sale in Annaberg-Lungötz - Dachstein-West ski-region. 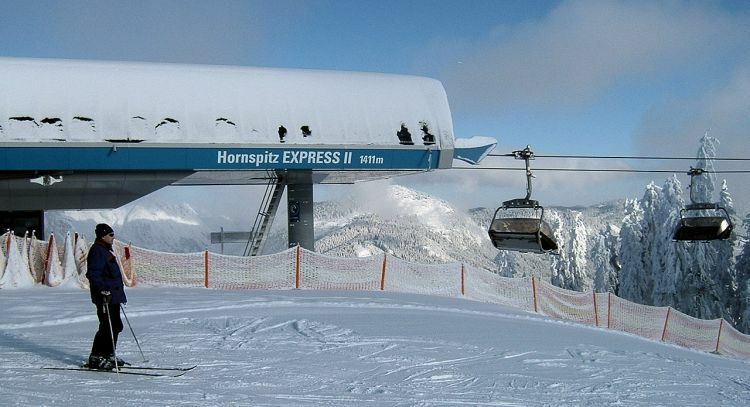 The popular Dachstein-West ski-region is an ideal holiday destination for families. 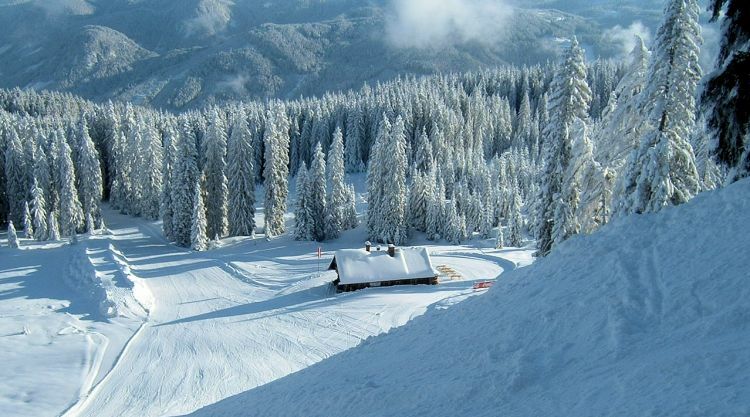 The area contains ski slopes at different levels of difficulty, romantic winter hiking paths and an abundant range of exciting leisure activities that can make a family holiday an experience to remember. 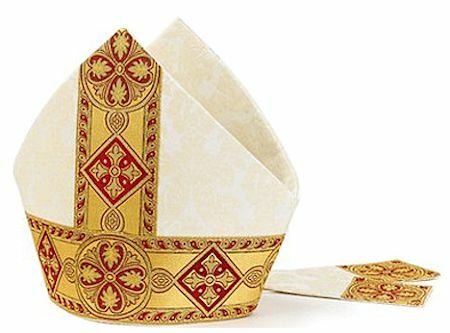 Surrounded by the picturesque mountain landscape of the Salzburger Land, Annaberg-Lungötz lies at the foot of the Bischoftsmütze (The mountaintop bears an uncanny resemblance to a Bischoftsmütze = Bishop's miter - elevation 2330 m.) and in the Lammertal valley. With just under 2.300 inhabitants, Annaberg-Lungötz forms an idyllic holiday paradise, far away from the tourist crowds. Annaberg-Lungötz is centrally located in the heart of the Salzburg province and yet off the beaten track. It is situated about 30km off the E55/A10 motorway and less than an hour’s drive from Salzburg. 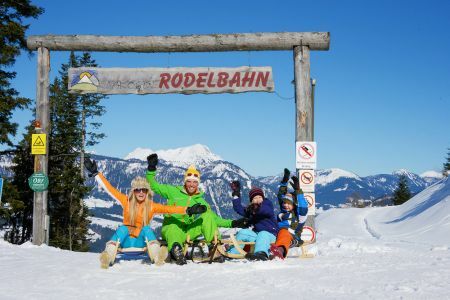 ... and a place for "time-out"
There is also has a whole range of fun-filled winter activities in and around Annaberg-Lungötz that offer genuine alternatives to the ski slopes. It's not just children who enjoy this pastime, adults too can have a lot of fun during a high-spirited tobogganing in the Lammertal. 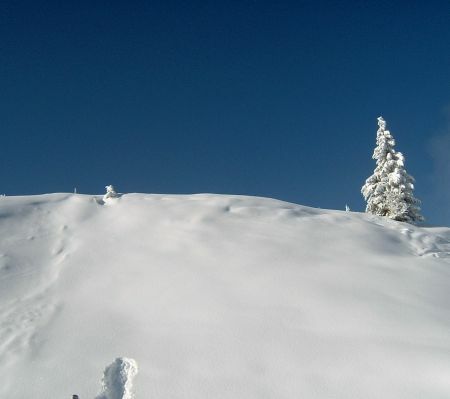 The natural toboggan runs in Lungötz and Abtenau offer perfect conditions and setting. One can still whiz down the floodlit kilometer of the toboggan run into the valley even after sundown. Glide smoothly over the ice skating rink on blades - fantastic fun, not just for children. 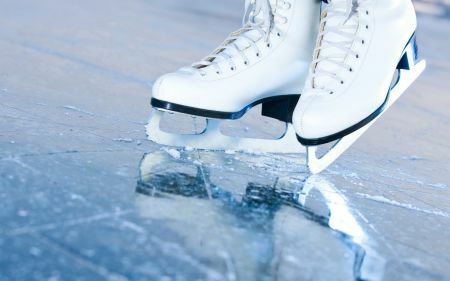 The ice skating rink in Annaberg-Lungötz provides the best conditions for this. You can enjoy skating around the rink with musical accompaniment accompaniment of course. As it gets dark early in the winter, the ice skating rink is equipped with floodlights. 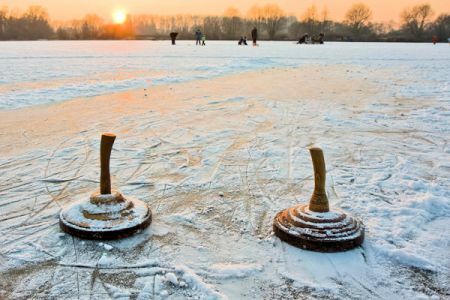 This traditional winter sport, comparable to curling, is a half-forgotten memory in many places. In the Lammertal however the sport is still played regularly – and with much enthusiasm. You may want try this sport for yourself, test yourself against the locals or simply join in the conviviality when hotly contested matches are played on the ice stock sheets. Ice stocks can be rented or are available at the stock tournaments. 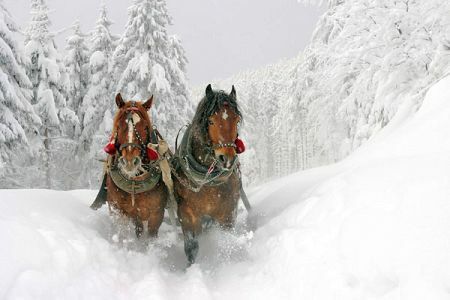 How about a horse-drawn sleigh ride through the deep snow-covered winter scenery? Wrapped up in warm blankets, next to your significant other, you can slide through the Lammertal and enjoy the crystal clear air. The magnificent silence is broken only by the crunch of the snow and the snorting of the horses. The Lammertal in the Salzburger Land is also a true delight for every enthusiastic hiker. In the midst of magnificent nature there is almost an endless choice of hiking trails with a wide range of challenges for both young and old. This hiking wonderland has trails for beginners, the more advanced as well as professionals. For families with young children there are several hiking trails suitable for children's pushchairs. 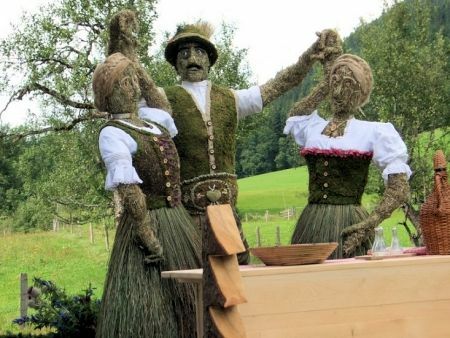 Every year, amazing sculptures are created out of hay for the “HeuART art festival”. Marvel at the wonderful creations on the hay sculpture and saga hiking trail in Annaberg. Check out former HeuART festival sculptures on the roughly 4 kilometers of hiking paths. There is loads to see and discover where the "Kopflacken ghost" lives. Young and old alike will be impressed by the original hay sculptures on the pram-accessible hay sculpture and saga hiking trail. 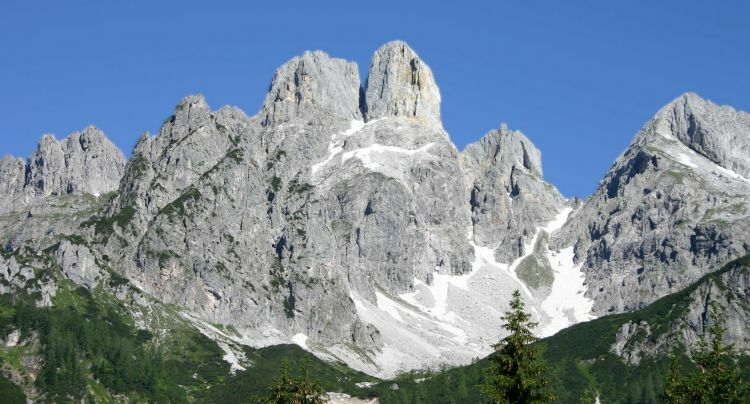 There are plenty of fun play stations and an array of the legendary figures like the "Kopflacken Man" or the "Dachstein Woman" along the route. The Postalm scenic road in Tennengau is one of the most beautiful scenic roads in Salzburger Land. 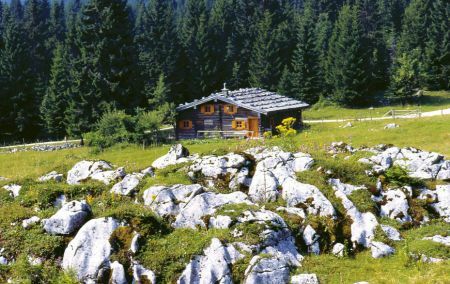 This 28.5km mountain toll road connects the cities of Abtenau in the Lammertal Valley and Strobl in the Salzkammergut and makes Austria’s largest interconnected alpine pasture, the Postalm, accessible to guests. Everyone from leisurely drivers to bikers to cyclists enjoy the well-constructed two-lane alpine road as well as the unforgettable views of the Dachstein massif and the jagged Bischofsmütze Mountain. Summer tobogganing on the Karkogel Mountain in Abtenau. 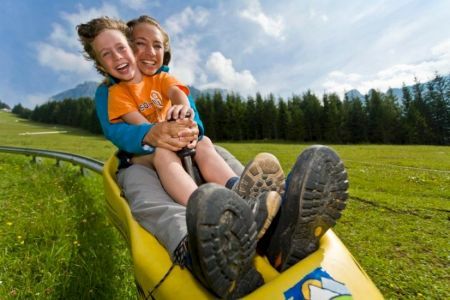 The 2 kilometer long summer toboggan run in Abtenau offers tons of fun and excitement: fast curves, extreme slopes, and super speeds of up to 40km/h – easy and safe. And those who prefer a less exhilarating and more relaxed ride can take the cable car back down to the valley. For mountain bikers there are well signposted mountain biking routes, such as the renowned Dachstein circular route, the recently created Watzmann-Hochkönig circular route and the Salzburger Almentour (alpine meadow tour).